Everyone loves getting free stuff, especially when it’s stuff you either currently use, or would like to try but just don’t feel like wasting money on something that is unproven to you. That’s why the following websites are so awesome. Even though getting freebies is not a pillar of "extreme couponing" - I'm going to make it one! Now, don’t get too excited, it’s not as if these sites are offering you free cars. Generally they’re small samples of products that these companies are hoping you will buy after trying. In the spirit of keeping these things freebies, I don’t touch the actual products with a 10-foot pole, unless, of course I already use them. The websites listed below highlight most, if not all, of the free things you can find online. Generally, all you have to do to get the item is fill out a quick survey, or “like” the product on Facebook. Most of the time it takes less than five minutes to get everything filled out. Considering some of these freebies are really good deals, it’s all certainly worth your time and effort. 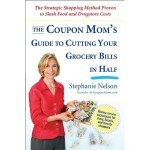 The Krazy Coupon Lady – Not super robust, but a good place to get started. I found a deal on here for a free set of diapers and promptly emailed all my friends with babies. Needless to say, they were extremely happy! Regular Mom – This one has a lot more stuff, and is one of the first sites I check in the morning and during my lunch break. Since it’s hot and humid, I took advantage of a freebie to give my wife some John Frieda Frizz Ease Smooth Start. I have no idea what that is, but she loved it. For The Mommas – A lot like Regular Mom in that it has a lot of good freebies. This was another site where I was able to get some free diapers for my friends. Addicted to Savings – To be honest, this isn’t the greatest site on the list, but it’s worth a look. Good Deal Divas – Like Addicted to Savings, not super, but also not a complete waste of time. I’ve used this site to get coupon codes for free Redbox and Blockbuster Express rentals. And, if you’re feeling particularly brave, you can sign up for your local “chapter” of Freecycle or scour the free section of your local Craigslist. Do you have any other sites that you frequent to find freebies? Leave a comment below and share. And, as always, please share this post using the social bookmarking buttons below so that others can find out about the wonderful world of freebies.